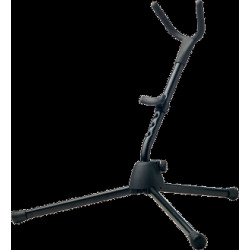 Adjustable folding stand for Alto and Tenor Sax. Fibreglass reinforced plastic base. Flexible upper support arm for different bell sizes. Lower support arm bracket with several vertical locking positions. 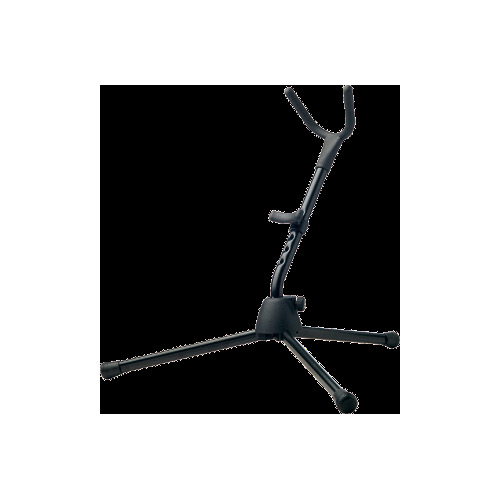 All instrument support parts covered with exclusive non-marring plastic coating.